Ashton Kutcher takes his turn as late Apple co-founder Steve Jobs in "jOBS," which premieres Friday at the Sundance Film Festival in Park City, Utah, and lands in theaters on April 19, the 37th anniversary of the founding of Apple Computers. 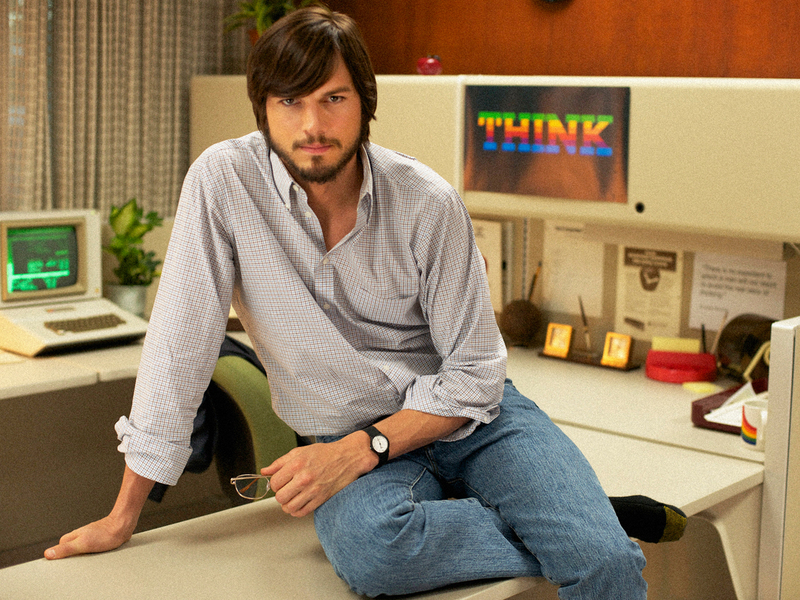 A new clip from the film surfaced this week, which shows Kutcher as Jobs and Josh as Apple co-founder Steve Wozniak. They're in a Hewlett Packard parking lot discussing a new operating system Wozniak created when Kutcher says, "This is freedom! This is freedom to create, and to do and to build, as artists, as individuals." "Look. You're overreacting," Gad replies. "Even if you were developing this for freaks like us, and I doubt you are, nobody wants to buy a computer...nobody,"
"How does somebody know what they want if they've never ever seen it?" Kutcher asks. The movie also stars Lukas Haas, Matthew Modine and Dermot Mulroney. Last year, Modine told CBSNews.com about his casting in the film, in which he plays John Sculley, the former Pepsi-Cola CEO whom Jobs recruited to lead Apple in 1983. Sculley has long been known as the man who "fired" Jobs two years later. The two had clashed in their respective roles at Apple, leading up to Jobs' removal from the company in 1985. Sculley served as Apple CEO from 1983 to 1993. "The interesting thing about that is some people may look at John Sculley as a villain in the story, an antagonist in the story," Modine said, adding, "You know the story of Michael Jordan. When he was playing high school basketball, he was kicked off the team. He was cut. And had Michael Jordan not been cut, a lot of people believe he wouldn't have found the aspiration and desire to show his coach that he was wrong and become the Michael Jordan who changes the game of basketball." Part of "jOBS" was filmed in the same garage where Jobs first started working at his family's home in Palo Alto, Calif.